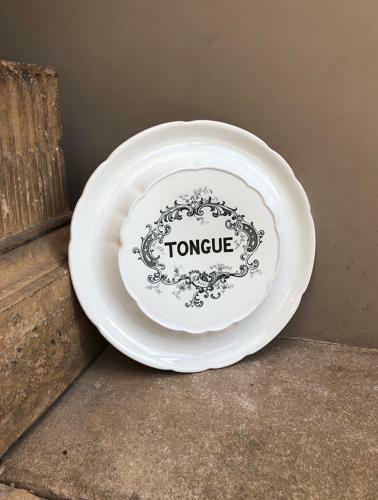 Edwardian TONGUE Display Plate. Great decorative black on white piece. Used display TONGUE which was a very popular dish then. No damgage. One small stain at 9pm inner rim.